Sell Your House Fast In Buckeye! We Can Help. We Buy Properties Anywhere In The Buckeye Area. Check Out How Our Process Works. We’re Ready To Give You A Fair Offer For Your House. Need to sell your house fast? We are the local “We Buy Houses Buckeye Arizona” company. If you want to sell your Buckeye home for any reason, we will make you a fair no-obligation all-cash offer. We even pay all closings costs. We purchase houses in Buckeye and the surrounding areas. 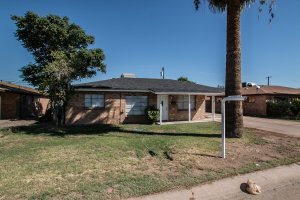 Do You Want to Sell your House in Buckeye? Get started right now by filling out the short and simple form below. We will buy your home in any condition. You have nothing at all to lose. Use the form below to give us a little information about your property. You can also call us at 602-833-7812.